Most are familiar with the Surrealist paintings of Salvador Dali, but few might be aware of the full range of his artistic expression. 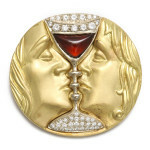 Among his many artistic endeavors, he designed jewelry. Dali selected materials based on impression, as well as color and quality. Each piece was made with meaning. 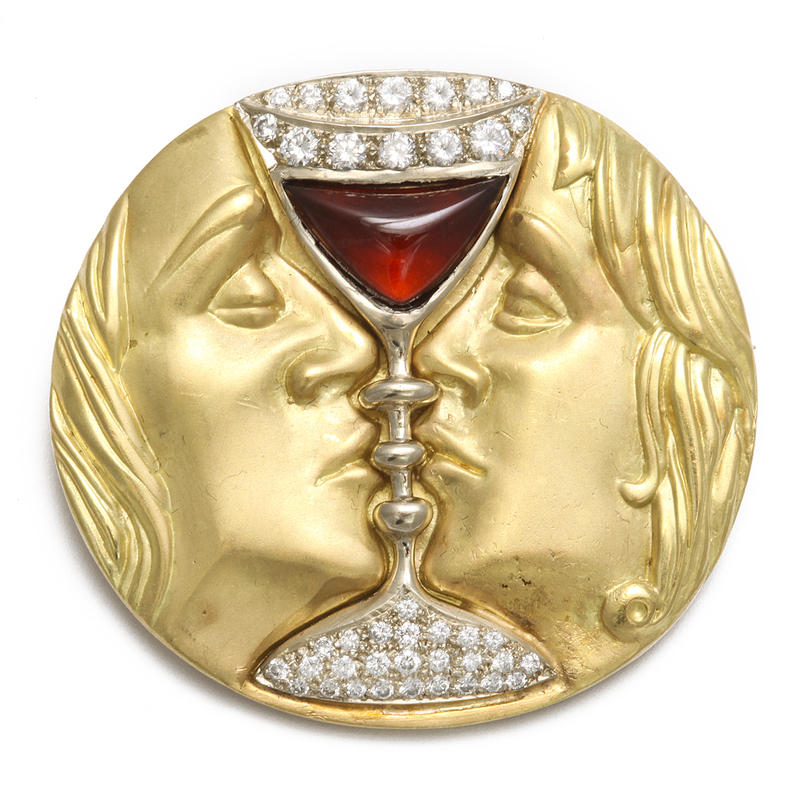 The Tristan and Isolde brooch, for example, has their heads arranged to form a goblet, suggesting “the effluence of love possible between a man and a woman.” The ruby lips brooch was first modeled after Mae West, and later, Marilyn Monroe, and were inspired by the poetic cliché of ruby lips and teeth like pearls, which Dali found fitting inspiration for his surrealist jewelry. Ultimately it is the viewer, Dali believed, who completed each composition by giving the pieces life. 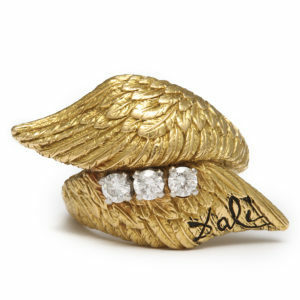 Dali’s perspective on jewelry can teach us a lot about how to interpret his work. Just as importantly, we must remember to appreciate jewelry for more than the intrinsic value of gems and metals, but for their beauty and artistic merit as well.